There has been a lot of press about Shepard Fairey as of late so I wanted to remind people about a political artist that pre-dates what Fairey is doing who I think was a true progressive. 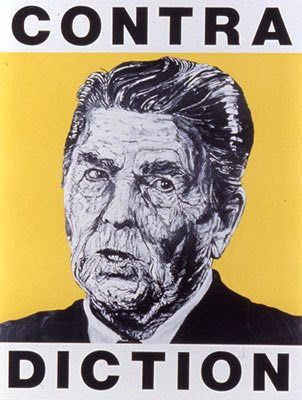 I first started seeing Robbie Conal's wheat-pasted posters in the mid 1980's in Chicago. 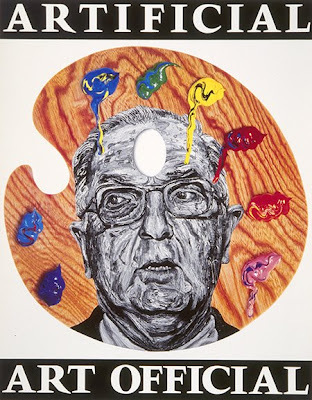 His work took aim at the Reagan Administration, Jesse Helms, Iran Contra, and Thatcherism. He is still working today - check out his website with a full archive here.